This cheese has been dubbed as addictive as narcotics by certain devoted fans. A hefty, beautiful, and rustic wheel, the clothbound cheddar is rich and caramelly, speckled with bits of crystalline crunchy goodness. 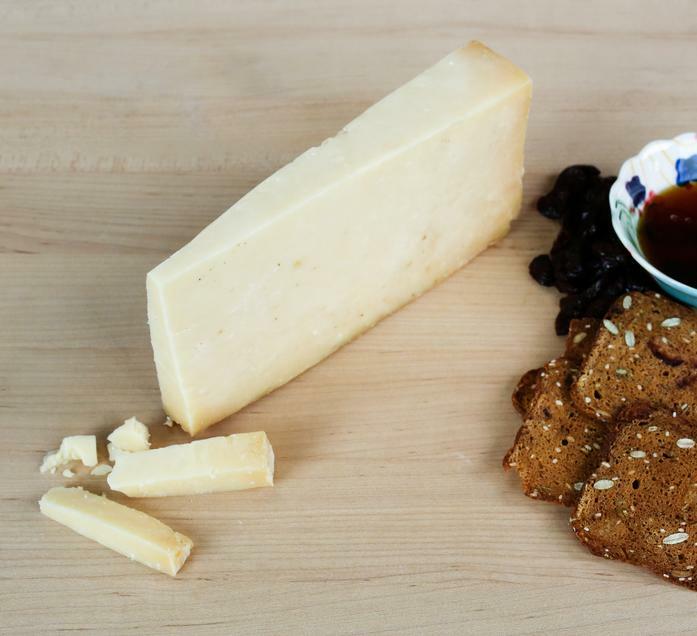 This cow's milk cheese is pasturized and uses a vegetable rennet. Clothbound cheddar evolved as a partnership between Jasper Hill Farm and Cabot Creamery, two of the best dairy enterprises in the Green Mountain State. The cheeses are made at Cabot Creamery, and are shipped to the Cellars at Jasper Hill when just a few days old. The team at the Cellars then bandages the cheeses, coats them with hot lard to make the cloth stick to surface of the cheese, and places them on wood shelves to age for 12-14 months.